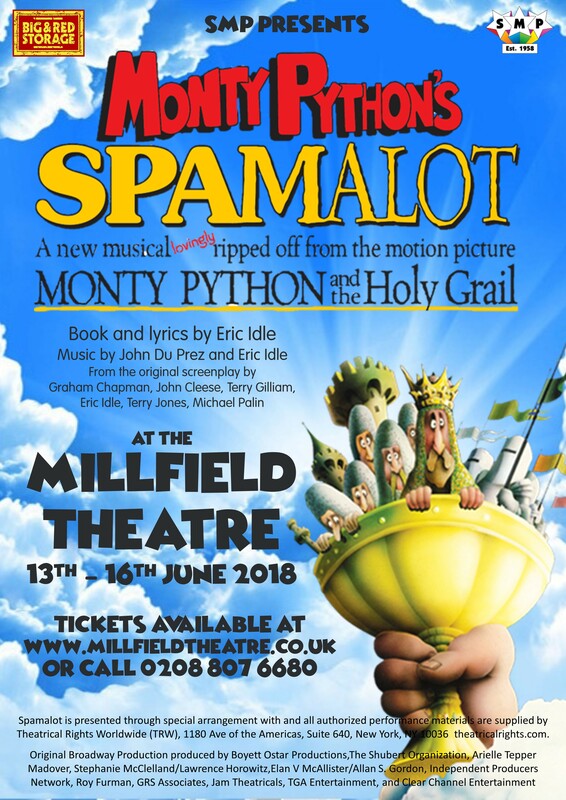 In 2018 we’ll be back at the Millfield Theatre with Monty Pythons Spamalot! The Show will be Directed by Paula Bland, Musically Directed by Stuart Piddington-Wall and Choreographed by Fay Kemal. 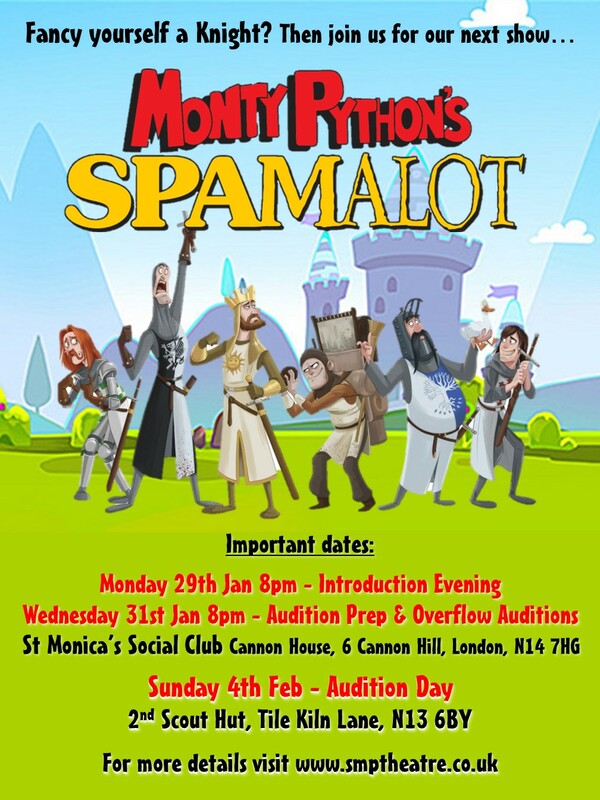 We’re pant-wettingly excited about getting started and finding out what our creative team will have in store for us and the introduction night. We’ll keep you updated with all the news on the website.